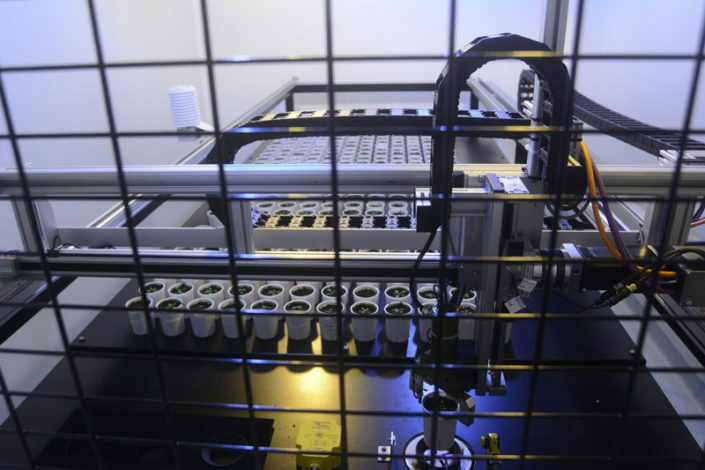 WIWAM xy is a robot for the high-throughput and reproducible phenotyping of seedlings and small plants, like Arabidopsis. The robot allows for the automated irrigation and measurement of a variety of plant growth parameters at regular time intervals. WIWAM xy replaces a lot of manual handling, saving time and costs, and does this with high precision. 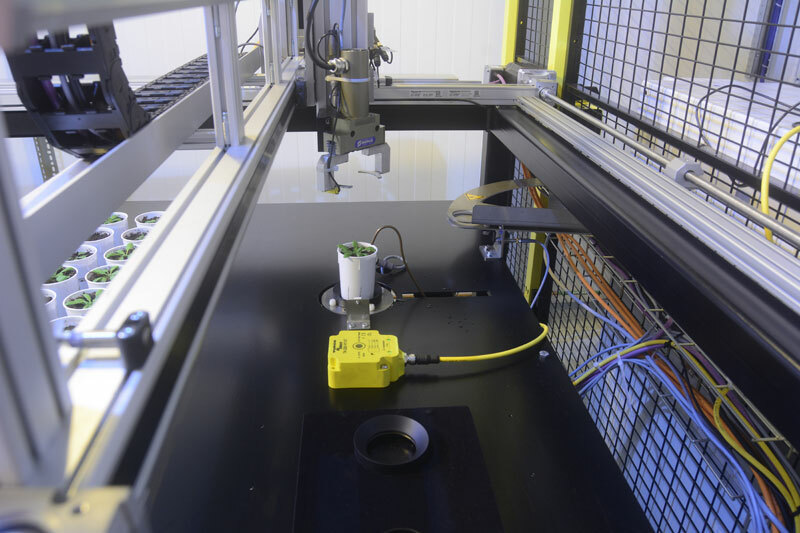 WIWAM xy comprises a robotic arm, a pot positioning table and one or more stations for imaging or weighing/watering activities. The complete system can be implemented in an existing growth room and is build with high-quality industrial parts. Plants are grown in individual pots, which are picked up by the robotic arm at preset time intervals, bringing the pots to the imaging and weighing-watering stations. 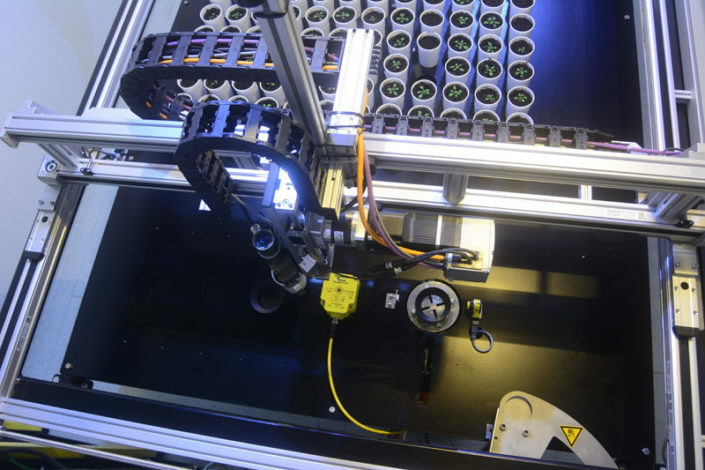 An RFID reader, combined with RFID tags at the bottom of the pots, can be implemented as an additional pot identification method, recognizing and correcting for manual pot positioning mistakes on the table. An imaging station can accommodate a range of camera systems for non-invasive image acquisition. Next, pots can be transferred to the combined weighing/watering station. Here, plants rotate while watering for an optimal water distribution in the pot. Irrigation precision is very high and goes up to +/- 0.1 mL. Moreover, irrigation can be based on automatically calculated target weights or on fixed volumes. This allows for accurate soil humidity levels throughout the whole experiment. 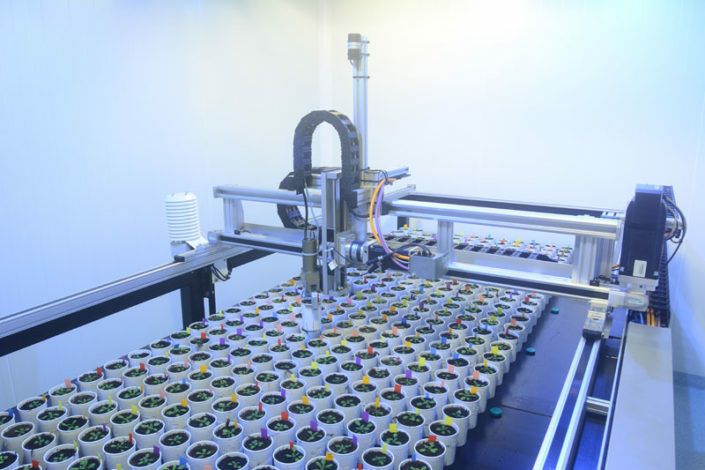 Furthermore, the environment can be monitored by the integration of light, temperature and humidity sensors, for a detailed recording of the experimental growth conditions. High-precision irrigation (up to 0.1 mL !). WIWAM xy can be equipped with environmental sensors. WIWAM xy comes with an intuitive user interface. 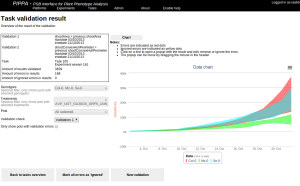 WIWAM xy is backed up by Image analysis and data visualization software developed by VIB. 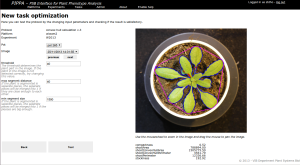 The software package, called PIPPA, is the central web interface and database that provides the tools for the management of the different types of WIWAM plant phenotyping platforms on the one hand, and the analysis of images and data on the other hand. 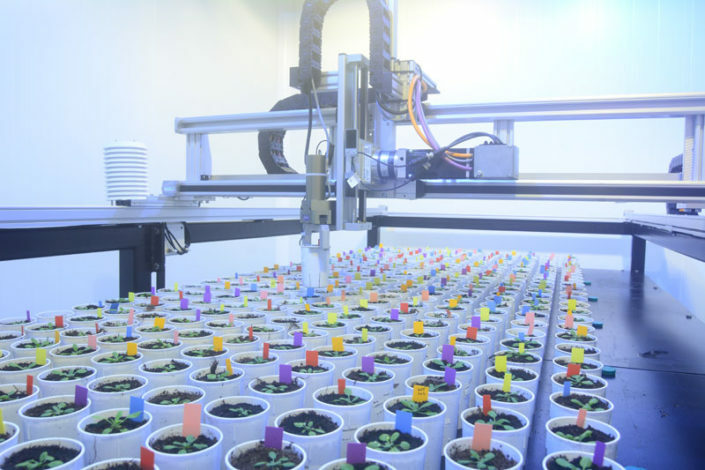 Genetic resources and sequence data are accumulating quickly, while linking this information to gene function is progressing at a much slower pace, indicating that plant phenotyping is a major bottleneck in the process of understanding the genomic code and implementing this knowledge to improve crop productivity. 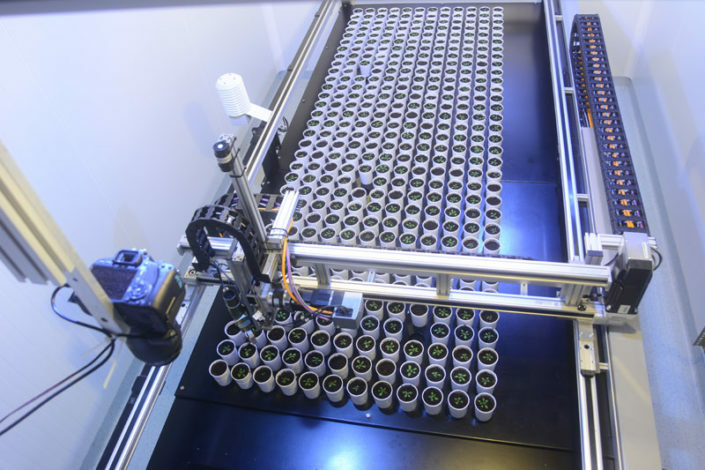 Phenotyping is widely recognized as the most laborious and technically challenging part of the process, making it costly and time consuming. 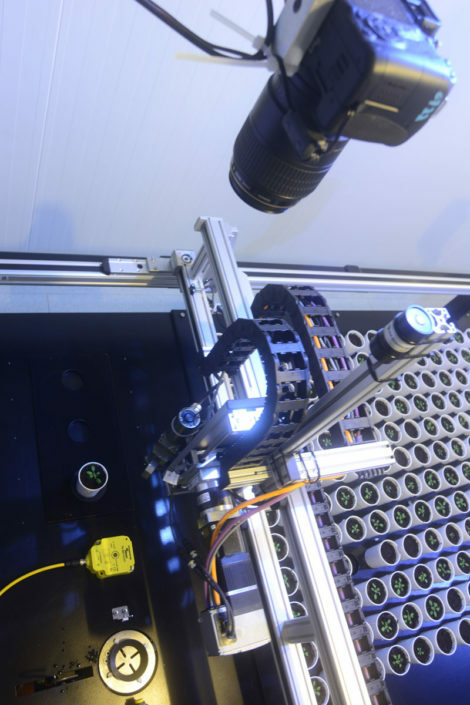 However, this ‘phenotyping bottleneck’ can now be addressed by combining novel image acquisition technologies, robotics, image analysis, and data processing. WIWAM xy integrates these strategies and replaces a lot of manual handling. This plant phenotyping platform can be incorporated in a plethora of research domains, including plant growth regulation, drought tolerance, plant physiology, stress response to salinity or heavy metals. 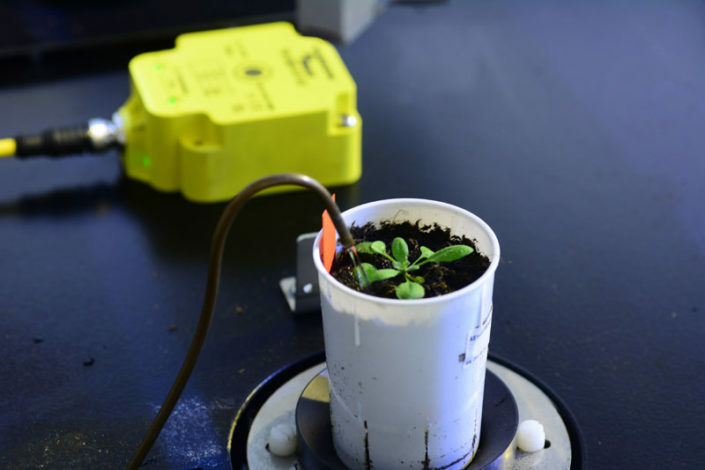 It can also be used to study the effect of chemicals or to analyze plant growth under various light conditions, nutrient levels or soil types. Shape your WIWAM xy !!! The standard WIWAM xy setup can be extended and adapted in order to be able to answer your specific research question or to optimally fit your available space. Several image acquisition systems can be implemented and specific pot sizes can be accommodated. Contact us for more information. Clauw P, Coppens F, De Beuf K, Dhondt S, Van Daele T, Maleux K, et al. (2015) Leaf responses to mild drought stress in natural variants of Arabidopsis thaliana. Plant Phys. http://dx.doi.org/10.1104/pp.114.254284.